From June to September 2009, firms in Oregon that were newly opening or expanding added about 86,170 jobs. During the same time, firms that were cutting jobs or closing altogether shed about 93,230 jobs. The result was a net loss of 7,060 jobs over the quarter. Oregon is in for at least a couple of more years of economic challenge, and there is little that can be done in the short run. The United States economy will be very soft, and Oregon has the assets and liabilities it has. To paraphrase a former Secretary of Defense, you fight the recession with the economy you have. Unfortunately, Oregon’s economy, while certainly diversified from, say, 20 years ago, is still very tied to building materials and California’s economy. 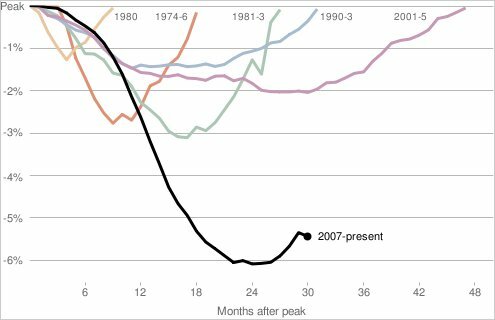 Given our forecast of real estate prices and construction, the building materials sector will likely recover far more slowly than in past recessions. California’s economy is significantly worse than that of the United State economy, due in part to its massive home-price bubble, a result of over-investment in housing. California is also moving forward with public policies and regulations that are increasingly motivated by non-economic factors, some of which are economically costly and put the state at a competitive disadvantage. [T]he United States Senate will resume consideration of the Small Business Jobs and Credit Act of 2010. The bill will exempt from capital gains tax gains on qualified small business stock acquired after March 15, 2010, and before January 1, 2012, and held for more than 5 years. The House has already passed this tax incentive. My little, but highly scientific, poll closed last night and 80% of you indicated that you favor more stimulus over austerity. There has been a lot of debate in policy circles lately about what the appropriate policy should be right now, but it appears that the more stimulus side has the weight of evidence on their side at the moment. Oregon’s seasonally adjusted unemployment rate was 10.5 percent in June, essentially unchanged from 10.6 percent in May. The rate has been between 10.5 and 10.7 percent for the most recent eight months. Oregon’s unemployment rate was 11.6 percent in June 2009, which tied May 2009 as Oregon’s highest unemployment rate since the early 1980s. The U.S. seasonally adjusted unemployment rate dropped to 9.5 percent in June from 9.7 percent in May. The number of unemployed Oregonians dropped substantially, by more than 25,000, over the last 12 months. 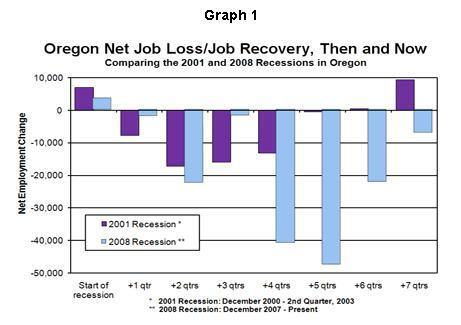 In June, 203,884 Oregonians were unemployed, compared with 229,471 unemployed in June 2009. Oregon’s seasonally adjusted nonfarm payroll employment dropped by 3,600 in June, following a gain of 2,600 (as revised) in May. In the new Health Care law is a new rule that requires a 1099 form for everyone a business pay more than $600 in a given year. The video below explains on the new rule’s difficult implementation. A recent Chamber study pointed out that this financial reform bill creates 533 required regulatory rulemakings, 60 studies, and 93 reports. By contrast, the Sarbanes-Oxley legislation passed in 2002 only had 16 rulemakings and six studies. NetApplications reports that Microsoft is losing key ground in the browser war as it watches it key browser, Explorer, drop 14% in market share. At the same time Firefox share grew 5%, Google’s Chrome grew 6%, Apple’s Safari grew 2% and Opera by 1%. These are not good numbers for Microsoft. Security and new options have driven many users to leave Explorer for the new rising browsers. In 2009, the administration’s economists promoted stimulus spending by putting out some bold projections of the impacts of the stimulus on U.S.
Unemployment. 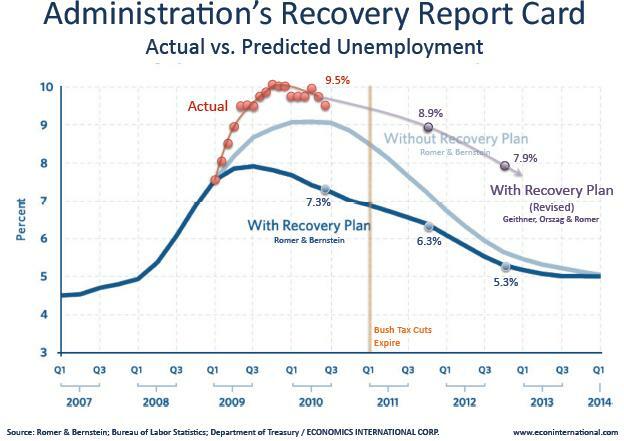 For example, the attached chart shows that the administration’s economists expected that, by now, the stimulus would have reduced unemployment to 7.3 percent. Instead, the Bureau of Labor Statistics reports that employment is now 9.5 percent. While the unemployment rate is lower than last month, this is because so many people have given up looking for work. 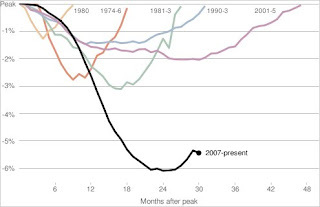 Those people are out of the labor force and do not count toward the most widely used unemployment number.